In this episode I chat to Ed Gill and Jon Beardmore over a few cold beers in London. We bumped into Ed in the historic city of Bukhara in Uzbekistan in 2015, when he was heading to Australia from the UK by motorbike. 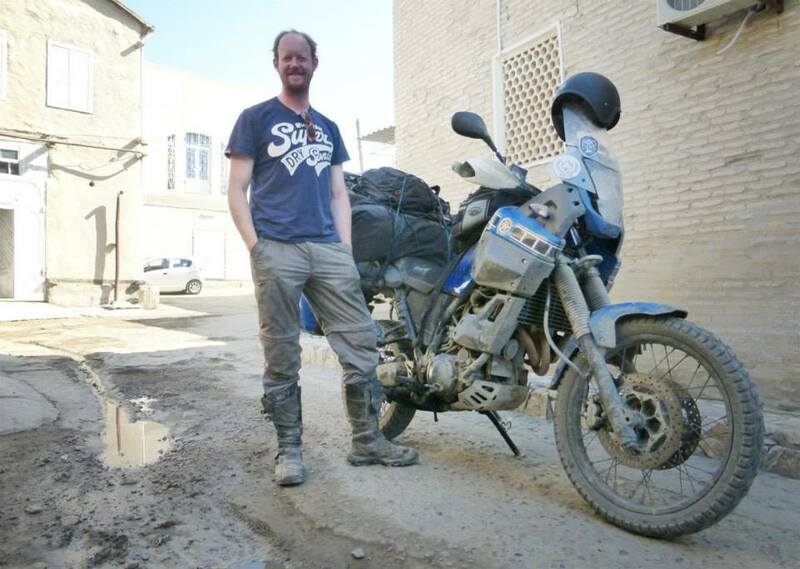 His journey took him and his Yamaha Tenere on a real adventure through Central Asia. In 2013, Jon took a 30,000 mile round trip to China/South East Asia, travelling through Central Asia and back in his 80 Series Landcruiser ‘Boris’. The aim was to explore the countries, the cultures and meet the local people. Jon and I have been in communication for the last 5 years via our websites and social media channels so it was great to finally meet him. Between them they have incredible experience and wisdom under their belts from extended periods on the road – we discuss both their adventures that took similar routes. In the conversation we focus on Central Asia and talk about “winging it”, lessons learnt, logistics, staying safe, politics and life on the road.